Kate Hudson Reveals Whether She Uses Any Dating Apps: There’s a Lot of ‘Celebrity Types’ on Them! Just like Us! Kate Hudson chatted with Ellen DeGeneres on Friday, February 17, about celebrities who turn to dating apps to find love — and whether she has any online profiles of her own. Watch the video above! “What’s crazy is that there’s a lot of, you know, celebrity types on these dating apps, which kind of makes you go, ‘Oh, maybe,'” the Deepwater Horizon actress, 37, said. 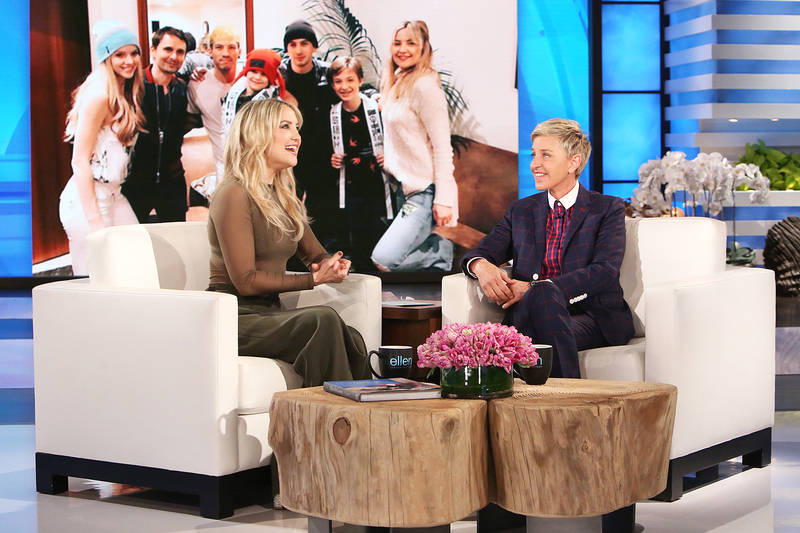 Kate Hudson on 'The Ellen DeGeneres Show.' Michael Rozman/Warner Bros. The Something Borrowed star also opened up about her kids. She shares son Ryder, 13, with her ex-husband, the Black Crowes’ Chris Robinson, and son Bing, 5, with Muse’s Matt Bellamy. In fact, on Wednesday, Hudson attended a Twenty One Pilots concert with her sons, ex-fiancé Bellamy, 38, and his new girlfriend, Elle Evans, at the Honda Center in Anaheim, California.